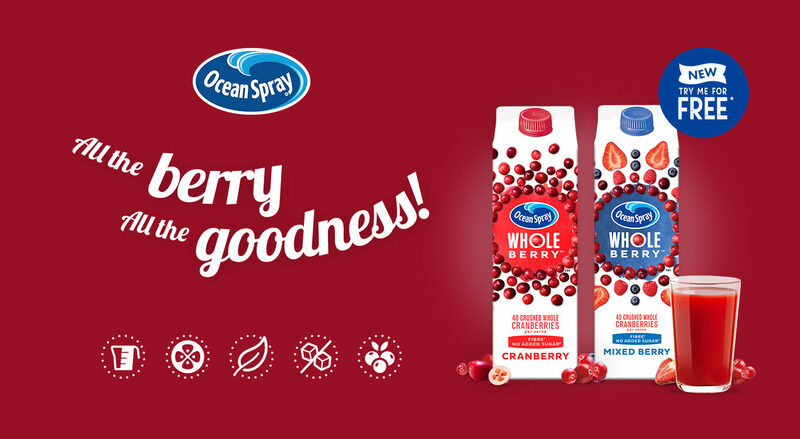 We were briefed by Ocean Spray to develop a creative platform and campaign to generate awareness and drive consideration and trial for a completely new platform from Ocean Spray – Wholeberry. 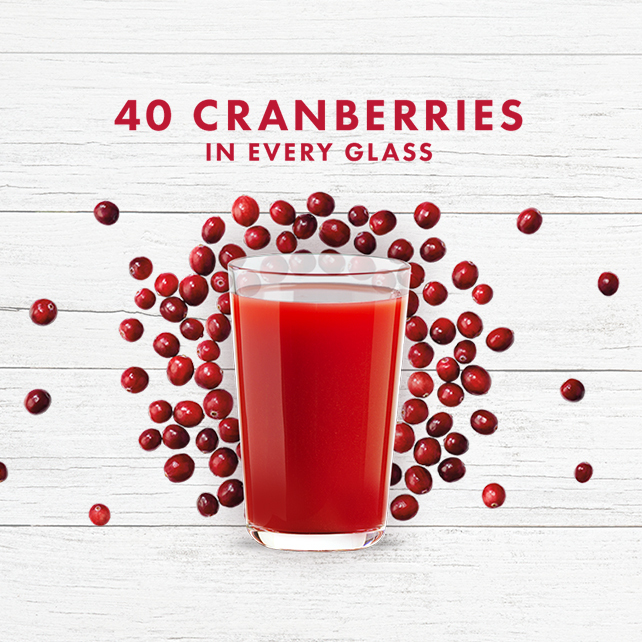 Ocean Spray’s new Wholeberry, made from crushed, whole cranberries, delivers all the goodness and nutrition of whole fruit through a deliciously satisfying one-of-a-kind juice. 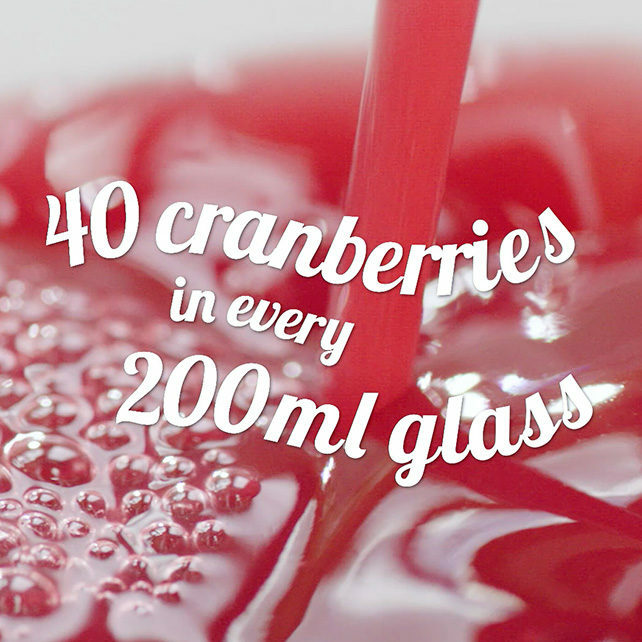 In a highly competitive category with established competitors, the campaign needed to breakthrough in a way that’s distinctly Ocean Spray. 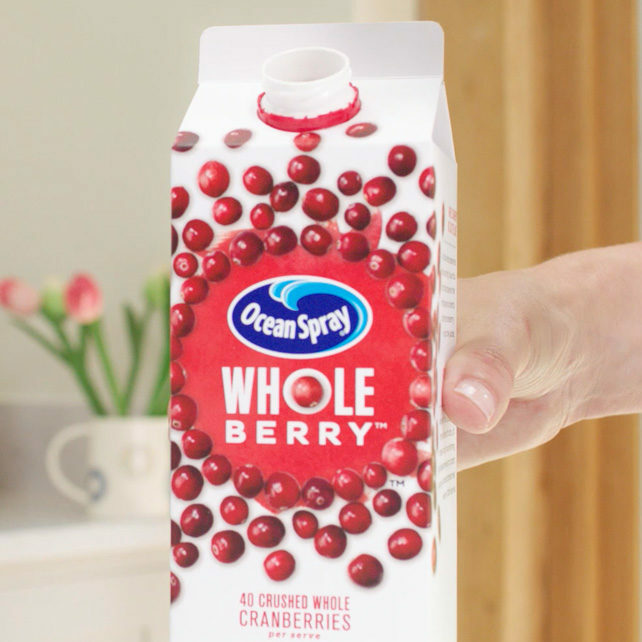 Building on the insight – Wholeberry tastes as good as you will feel – we set out to capture both the rational and emotional benefit. This lead to the development of the campaign line ‘All the berry. All the goodness’ which was bought to life with a vibrant, healthy and accessible creative execution. We developed a launch campaign across a combination of female press, YouTube and social advertising. Our fully integrated campaign started with a 30 second advert created specifically for YouTube, and the option to use on broadcast TV. Shot in the summer, we developed a creative route that had an arresting 5 second start that highlighted the new news (for YouTube), and then a clear narrative that called out the key product benefits. The concept, storyboard and ad production was handled via our creative and content teams. 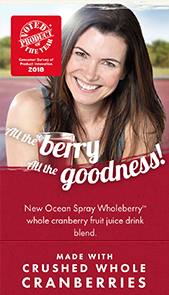 Alongside the TV advert, we developed a full press campaign, using the model from the film and the line ‘All the berry, all the goodness’, The press creative aligned with the brand’s global ‘faces’ campaign, and in testing our advert was proven to encourage most consumers (> 80%) to try Ocean Spray Wholeberry. 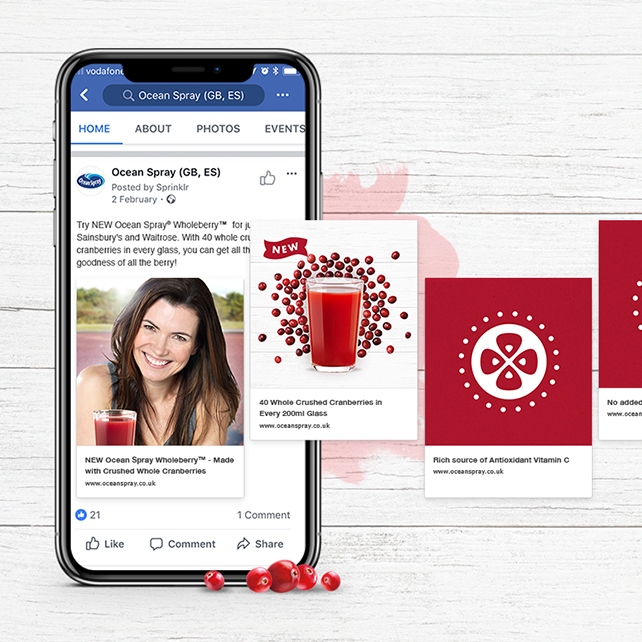 A significant social advertising campaign has also supported the launch of Wholeberry, using rich Facebook ads, targeting key audiences via Facebook, and aligning to the retailer listings and promotional plan. Finally, we ran a test with the Shopmium platform to drive trial in retailers via the Shopmium mobile discovery app. The creative platform also translated to instore communications and sampling. Planning, creative and producing, including photography and video shoot were all handled by our planning, creative and content teams. To measure the effectiveness of the campaign we worked with Google to run a Brand Lift study to measure brand awareness and product consideration. 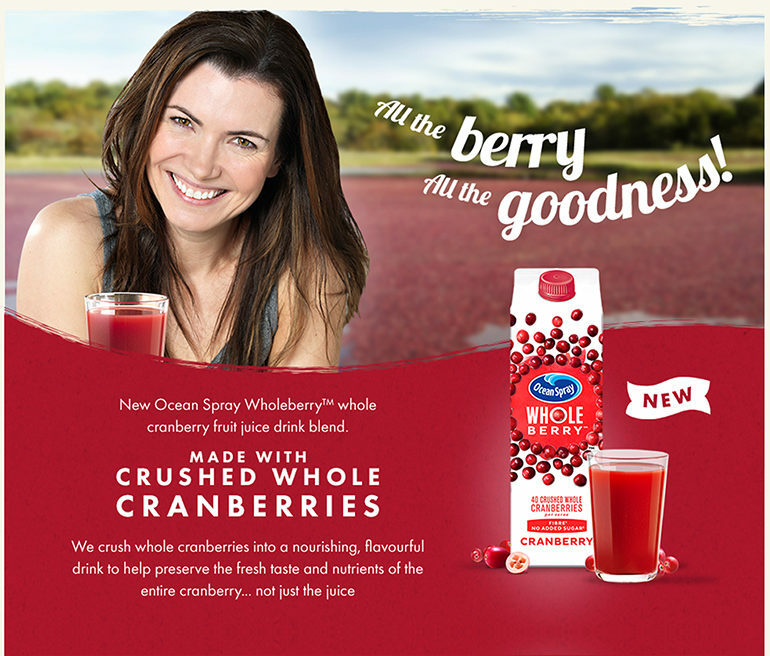 This proved a 20% lift in Brand Awareness and 10% lift in purchase consideration amongst consumers exposed to the Wholeberry YouTube advert. The campaign is ongoing – to date the YouTube advert has seen over 3 million impressions and 780,000 views.